Earthworms (phylum Annelida, belonging to the Oligochaeta Class) are a group of organisms which play a major role in the soil’s sub-ecosystem. It is therefore of fundamental importance to understand how they behave in the soil if we are to consider their use in sustainability, restoration and remediation. In 1881 Darwin wrote about the importance of earthworms in his book “The formation of the vegetable mould through the action of earthworms with observation on their habitats”. Aristotle also gives them worthy mention as “the soil’s intestines”. It is a known fact that a population of earth-worms in a single field in Veracruz is able to digest more than 400 tons of soil per hectare each year, and in some other ecosystems this figure may be as high as 1,500 tons. Thus, the importance of the impact of their presence in the soil has led them being referred to as “engineers of the ecosystem”. It is because of this peculiarity that earthworms participate widely in so many environmental services, such as for example, the regulation of biochemical cycles, nutrient cycling, carbon capture, disease control, soil structuring and the quality and amount of water retention, as well as bio-remediation of waste and pollutants. This has led to the development of bio-technologies such as vermicomposting above the soil and biological fertilizing (FBO) within the soil. 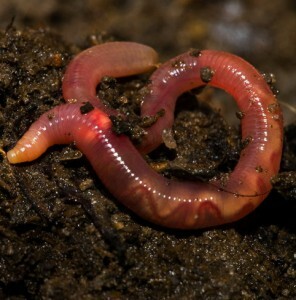 Earthworms also serve as bio-indicators of soil disturbance or toxicity, due to their high sensibility towards alteration and their capacity for accumulating toxins. Finally, earthworms represent an important model in research into immunology and medicine because of their primitive but efficient immune systems and bio-active substances which allow them to survive in hostile conditions in the presence of large quantities of pathogens. Although earthworms do not form a very diverse group of organisms, many still remain unidentified and their molecular characteristics and ecological effects are as yet unknown. It is important to note their interaction with other organisms in the soil both from an ecological and bio-technological point of view. It was in 1980 when the International Earthworm Community first began to meet and exchange views on the ecological aspect of earthworms and members have since met every four years. To date, 8 Symposiums have taken place altogether, 7 in Europe: at Grange over Sands, .U.K (1980), Bologna, Italy (1984), Hamburg, Germany (1987), Avignon, France (1990), Vigo, Spain (1990), Cardiff, U.K. (2002), Kracow Poland (2006) and 1 in America at Colombus, Ohio (1994). At each of these Symposiums, all the documents presented were published either in the form of a book or in a specialized scientific magazine. 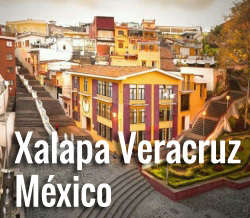 Next year the 9th International Symposium of Earthworm Ecology (ISEE9) will be held in the city of Xalapa in the State of Veracruz (Mexico) from 5th September to 10th September, 2010. It will be a privilege for us here in Mexico to count on your presence during this event where we will discuss the advances achieved so far in aspects of biotechnology and ecology in earthworm research. 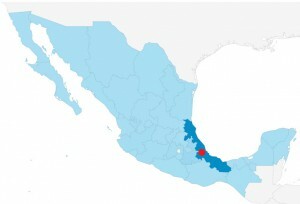 We look forward to seeing you here in Xalapa in September 2010.